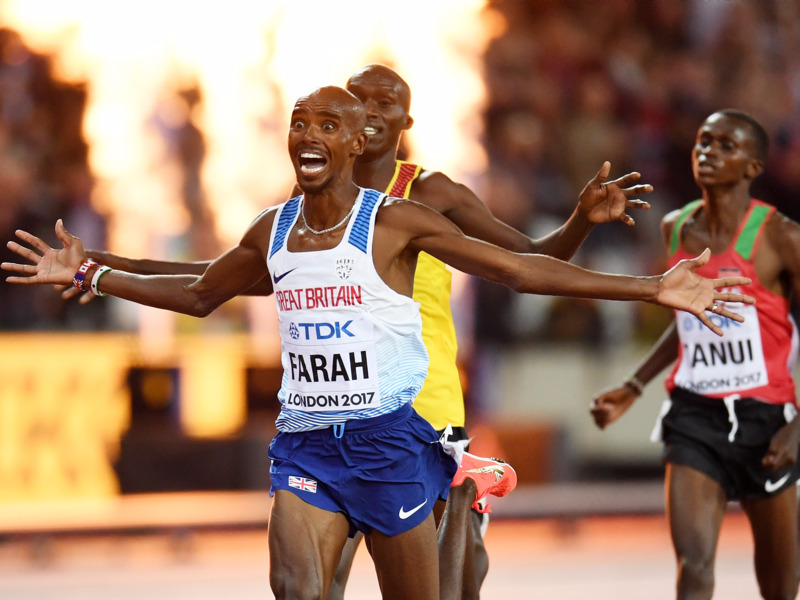 Getty ImagesMo Farah was on-form during the 2017 World Athletics Championships in London. 10,000 metre world champion runner Mo Farah has been named the 2017 Sports Personality of the Year by the BBC. Farah was a 50/1 outsider for the award but is a highly-decorated athlete with many successes in 2017. The title “means everything to me,” Farah said. Four-time Olympic gold medalist Mo Farah was named the 2017 Sports Personality of the Year (SPOTY) on Sunday. Farah, 34, was considered a 50/1 outsider for the award but raced ahead of SPOTY favourite Anthony Joshua to claim the BBC trophy because he won the popular vote. Speaking on a video link from St Mary’s University in Twickenham, Farah told the studio audience that he was “pretty amazed” to receive 83,524 votes from the public. Farah then explained that he would have loved to collect the award in person, but couldn’t because his children were ill.
“I do wish I was there,” he said. “I wish I was giving back to people. My son and twin daughters have been sick. In fact, while I was in the room my son was throwing up everywhere. I owe it to the public and people who supported me and voted [for] me. 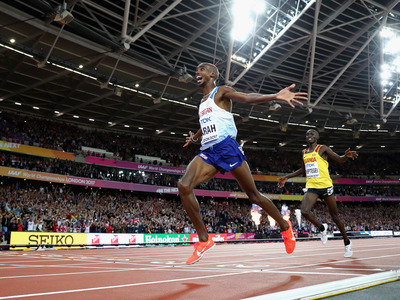 Farah stormed to the top of the popular vote with 83,524 people supporting his right to the SPOTY throne. Farah’s form in 2017, combined with his decorated career as a whole, likely have made him a popular pick with the public. He has won four Olympic gold medals (both the 5,000m and 10,000m in 2012 and 2016), and six world championships in the same events. In 2017 alone Farah won the Great North Run for a record 4th consecutive time, completing the half marathon in 1 hour and six seconds. He won his final two track events in the Diamond league, but his greatest achievement was arguably the 10,000 metre gold medal race at the 2017 World Championships. Farah stumbled twice, lingered at the back of the pack, but still somehow raced his way to the front to take home the winner’s medal. Here he is crossing the finish line. Farah beat superbikes racer Jonathan Rea, who came second with 80,567 votes, and paralympic sprinter Jonny Peacock who was third with 73,429. Other notables included world heavyweight champion boxer Joshua in fourth with 73,411 votes, 4-time Formula 1 world champion Lewis Hamilton in sixth place with 60,627 votes, and Tottenham Hotspur striker Harry Kane in eighth place with 18,759 votes.